When SL told me we were going to Kuala Pilah for Malay style char koay teow, I must admit I was a skeptic. After all, shouldn’t one be heading to Penang for that? But once I tasted Adwa‘s char kuey teow, I was not only truly impressed, I can also say with confidence that you should put this in your list of things to eat in Kuala Pilah. 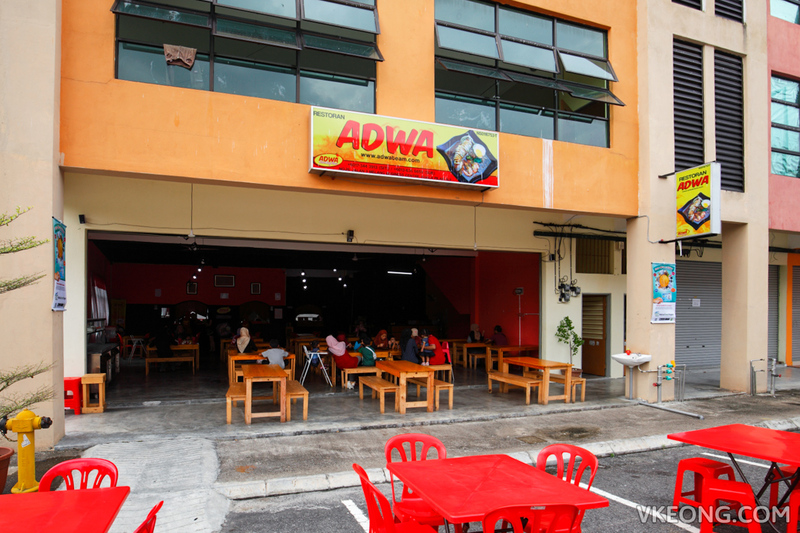 If you looked at Adwa’s Facebook page, you would notice that they used to be a franchisee of another char kuey teow brand. I am glad Adwa is on their own now because (based on my own experience) their char koay teow tasted A LOT better than their ex-master franchise’s. 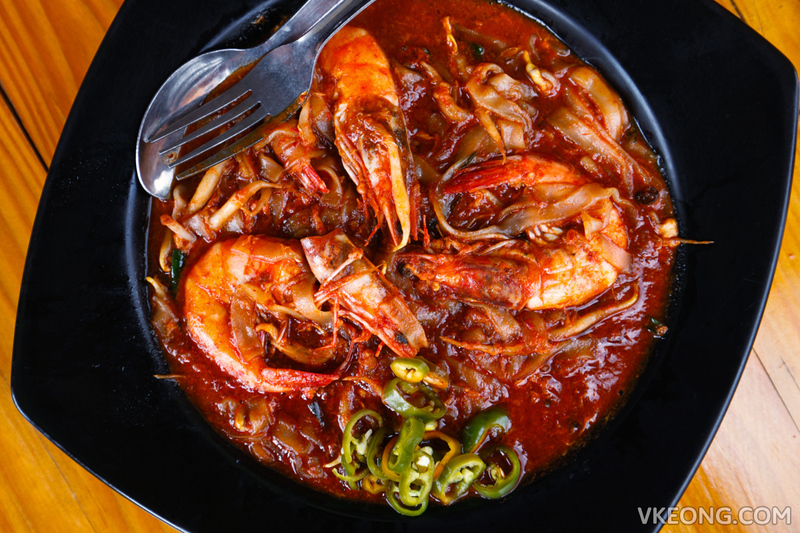 After apprenticing with a renowned chef from Penang, Adwa’s owner has since been able to make their own char koay teow sauce. From what we were told, they mix 5 different brands of soya sauce, then recook the concoction to achieve the desired flavor. 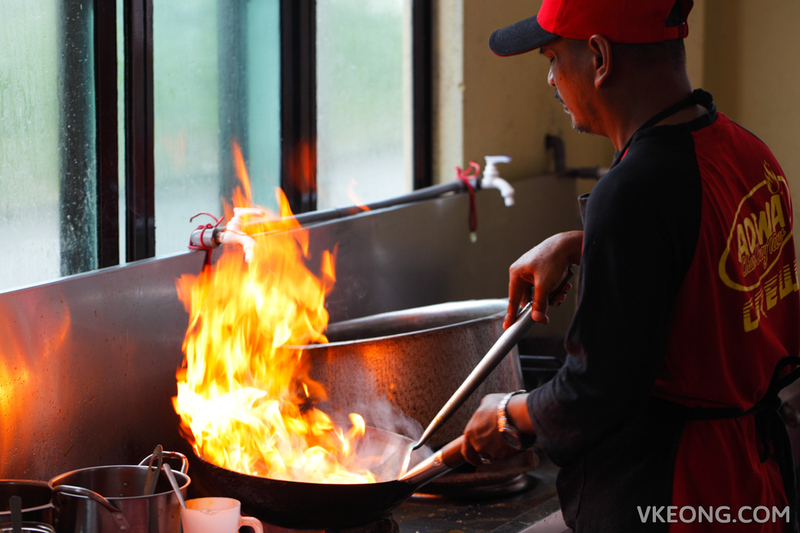 And since they are cooking the sauce fresh in small batches on a daily basis, you can be sure that there are additional preservatives being added. 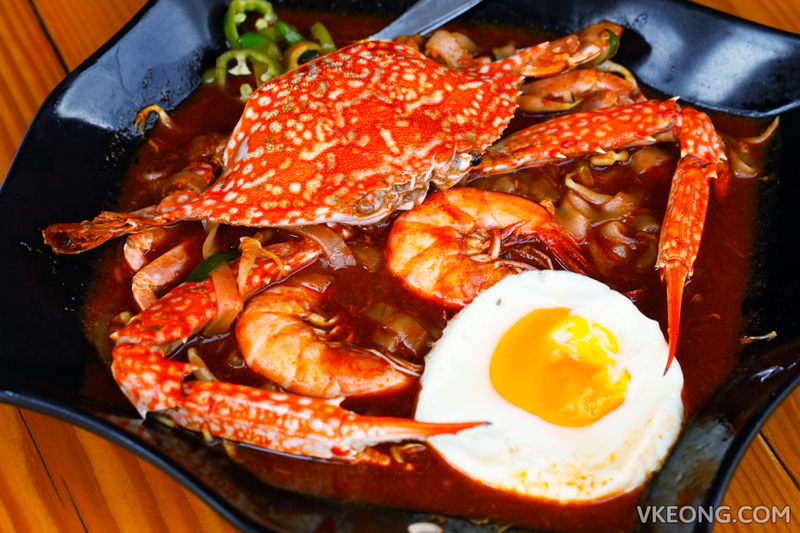 Besides having a delicious sauce base, Adwa also incorporates a variety of fresh seafood into their noodles. So a couple of more elaborate versions are also available such as with giant squid, flower crab and giant freshwater prawn. If you feel these char koay teow with extraordinary portions of seafood feel gimmicky, trust me I felt the same too initially. 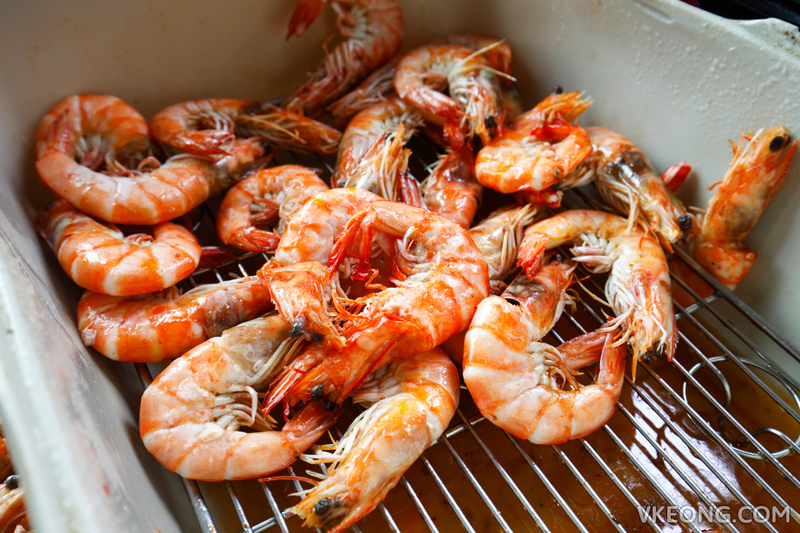 But you will find that the seafood actually adds both flavor and appeal. 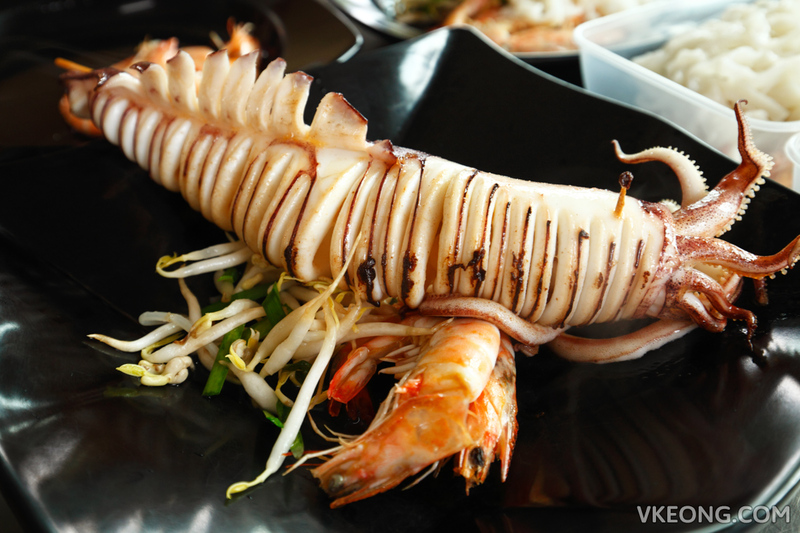 For those dining in a group but not planning to splurge, you can always order a plate of CKT with squid or crab, then share the extra seafood among yourselves. In fact, quite a number of customers we saw did exactly the same thing. 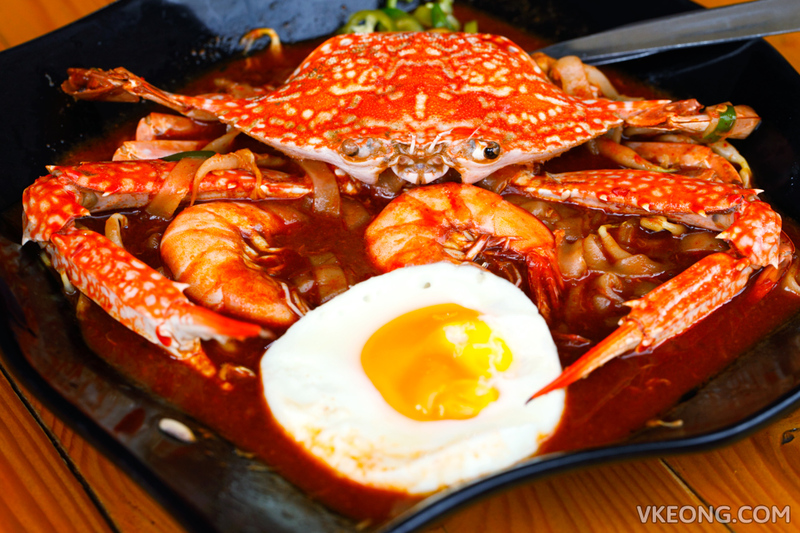 The price for a normal serving is RM8, while those with extra toppings are between RM20 to RM30 depending on the size and portion of seafood you get. So if you have a budget in mind, do let them know in advance so they could pick the size of the seafood accordingly. 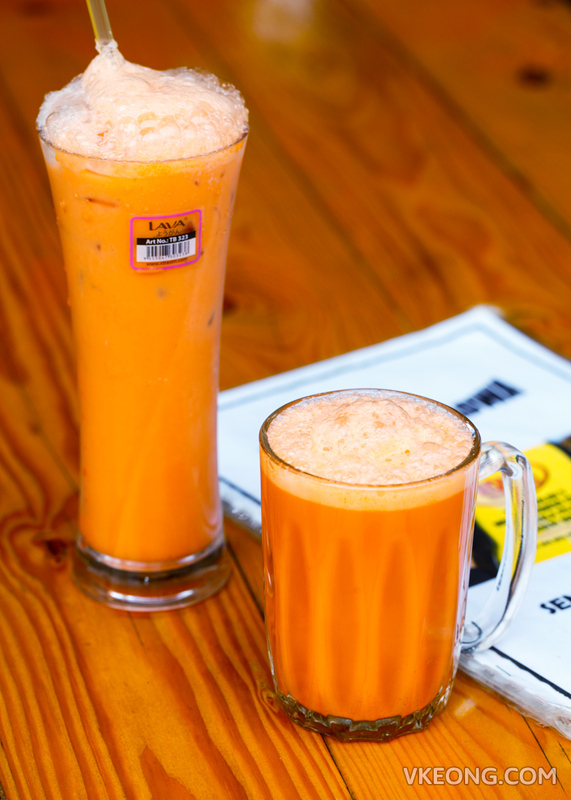 While you are here, do try the Teh Merah, which is essentially Thai milk tea. 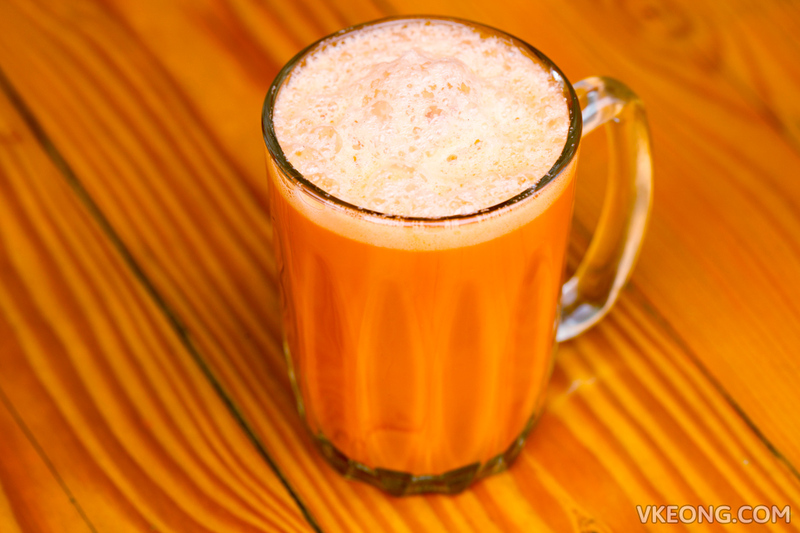 In my opinion, it’s perfectly prepared, sufficiently sweet and rich with a nice layer of foam on top. 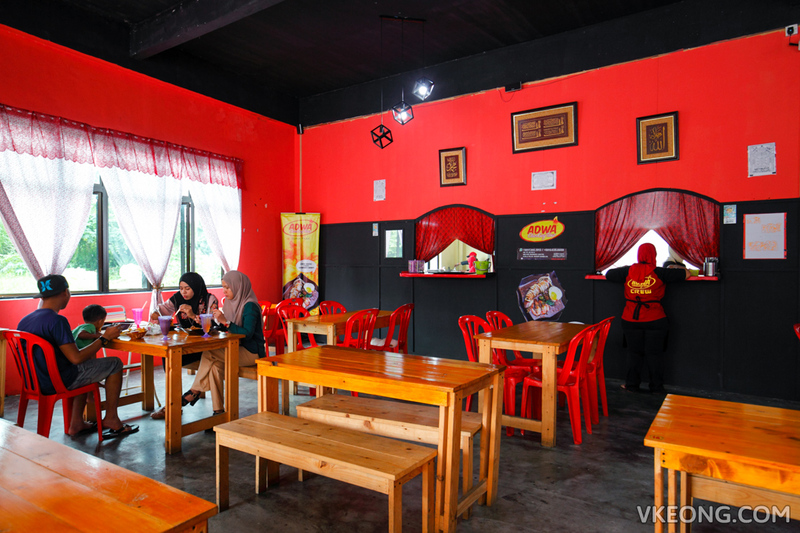 The post Adwa Char Kuey Teow @ Kuala Pilah appeared first on Malaysia Food & Travel Blog.